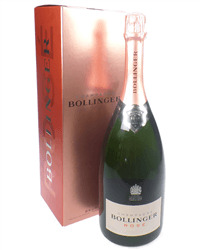 A Magnum of Bollinger Special Cuvee Champagne (1.5 litres). This is presented in a wooden gift box and is lined with wood wool. Personalize this gift by adding your own personal message. 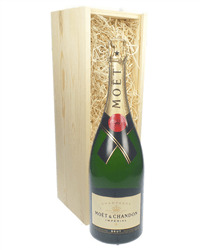 Send a Magnum of Champagne to make any occasion special. 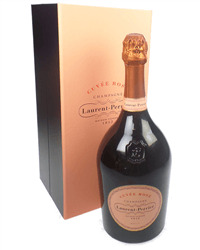 Our large range of Magnum of Champagne gift - next day delivery includes Brut, Rose and Vintage champagnes from Laurent Perrier, Lanson, Moet, Veuve Clicquot, Bollinger and Taittinger. 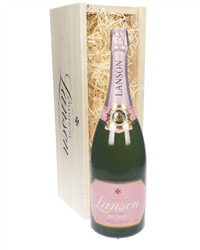 Order online or by phone and we will deliver next day to the address of your choice with your special gift message. What is a magnum of Champagne? A magnum of Champagne is a bottle of Champagne which holds 1.5 litres of Champagne. 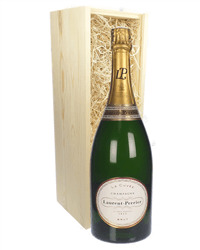 How many bottles are in a magnum of Champagne? 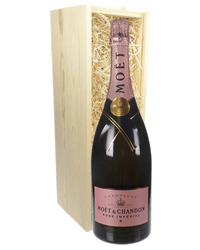 A Champagne magnum is equal to 2 standard Champagne bottles. What size is a magnum of Champagne? 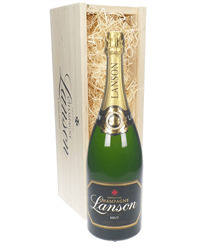 A magnum of Champagne is 1.5 liters equal to two standard Champagne bottles. How many glasses of Champagne are in a magnum? 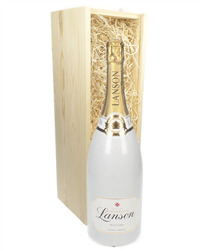 A standard Champagne glass is 4 oz therefore a magnum of Champagne will fill 12 standard glasses. What is bigger than a magnum of Champagne? 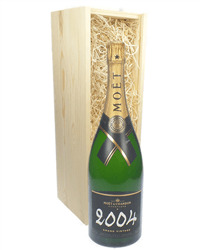 The next bottle size up from a magnum is called a jeroboam which is equal to 4 standard Champagne bottles.